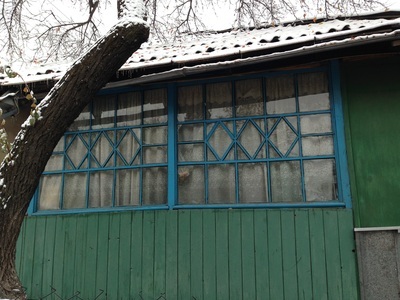 In a traditional Russian cottage, or izba [изба], there was a small unheated room where visitors could take off their shoes and coats. 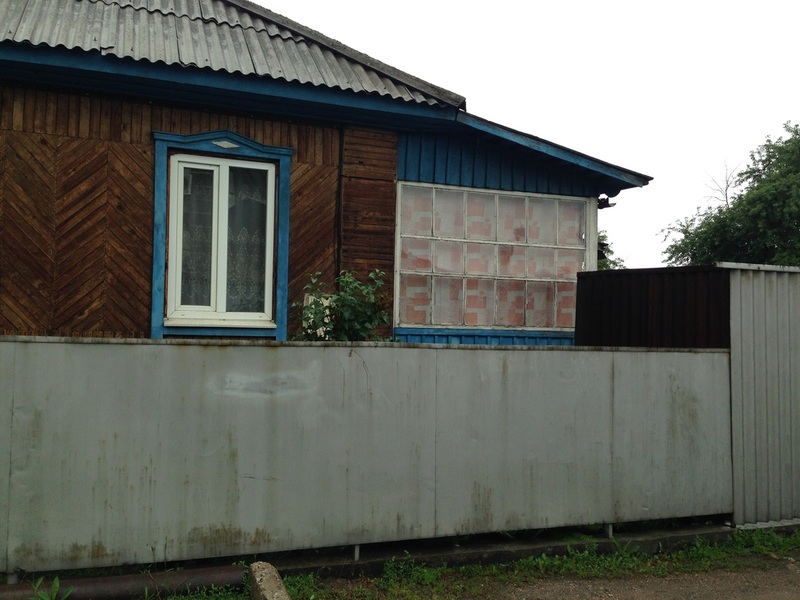 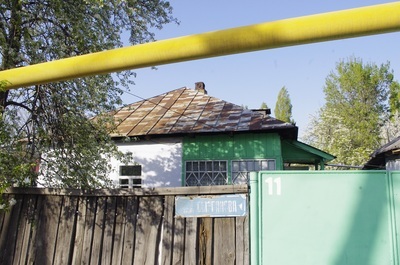 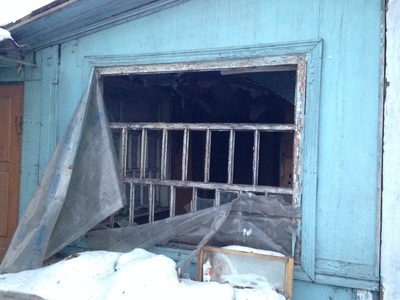 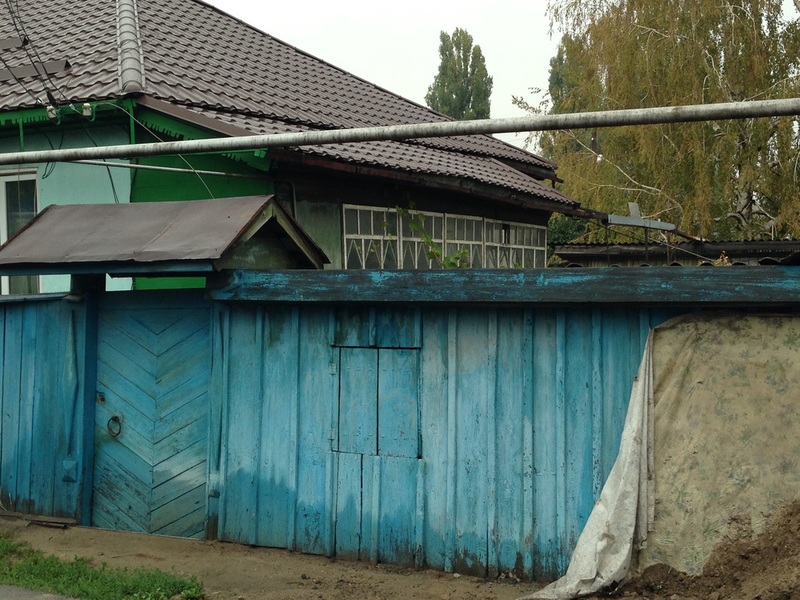 It was called the seni [сени], and you can think of it as something like a Siberian airlock, a transitionary space that could help buffer a home from the cold. 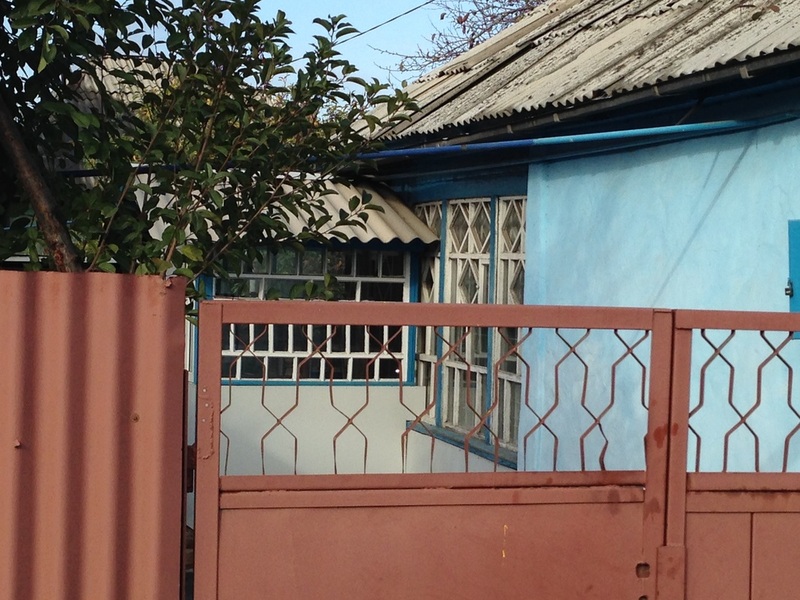 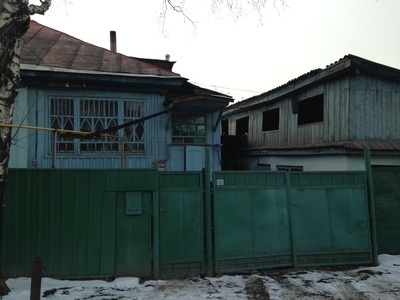 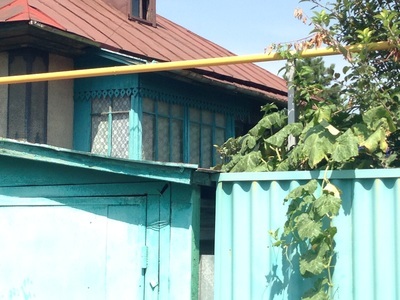 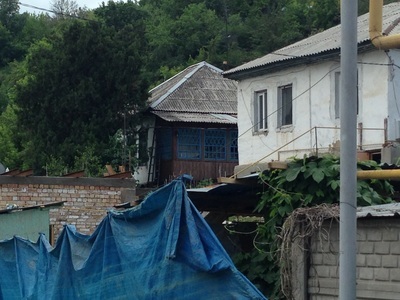 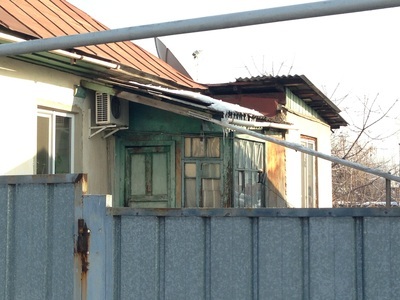 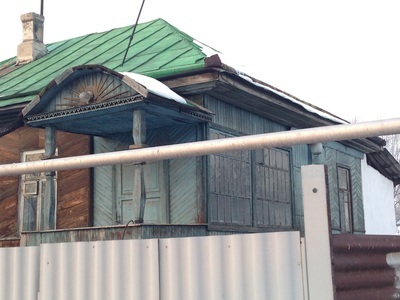 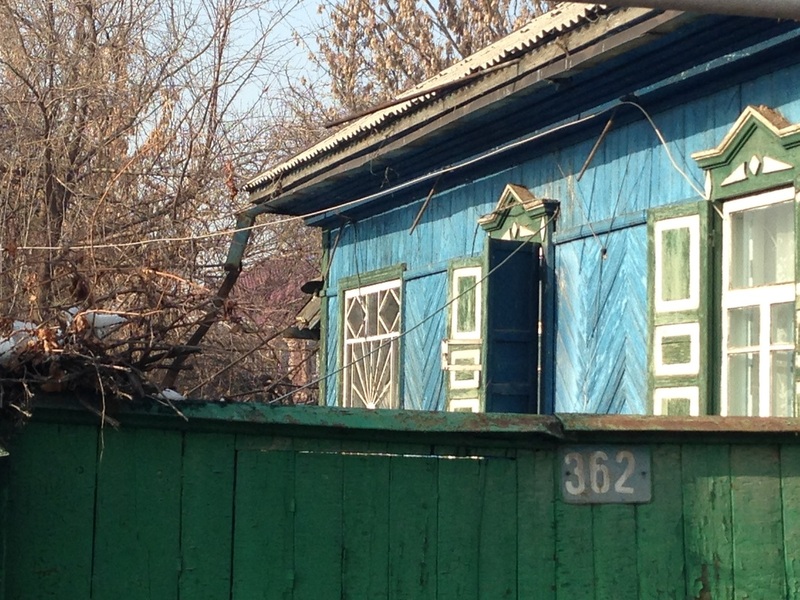 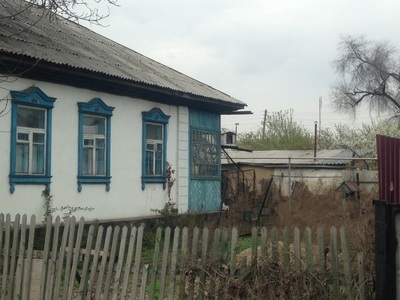 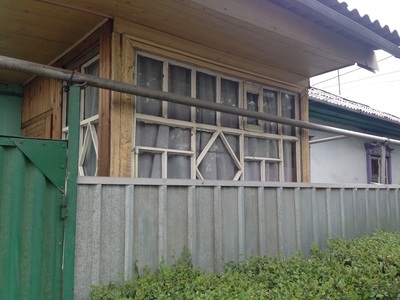 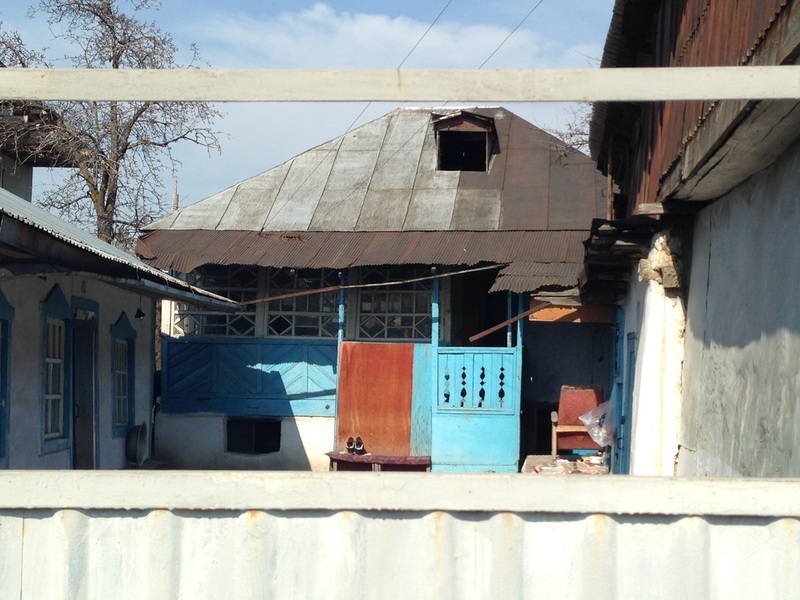 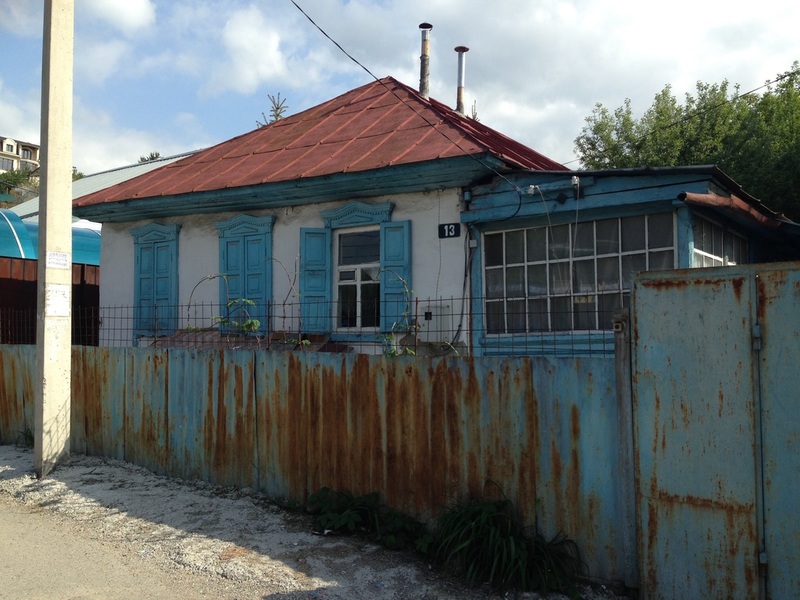 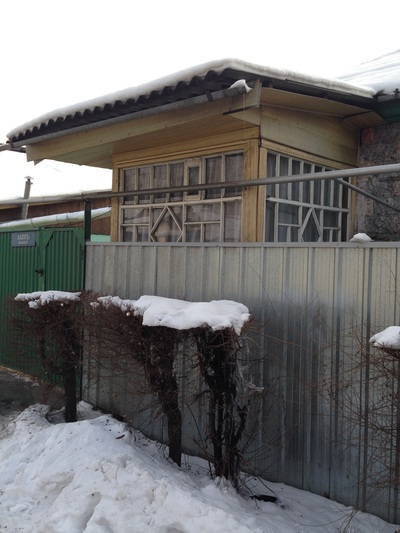 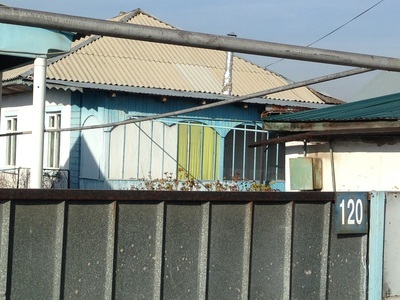 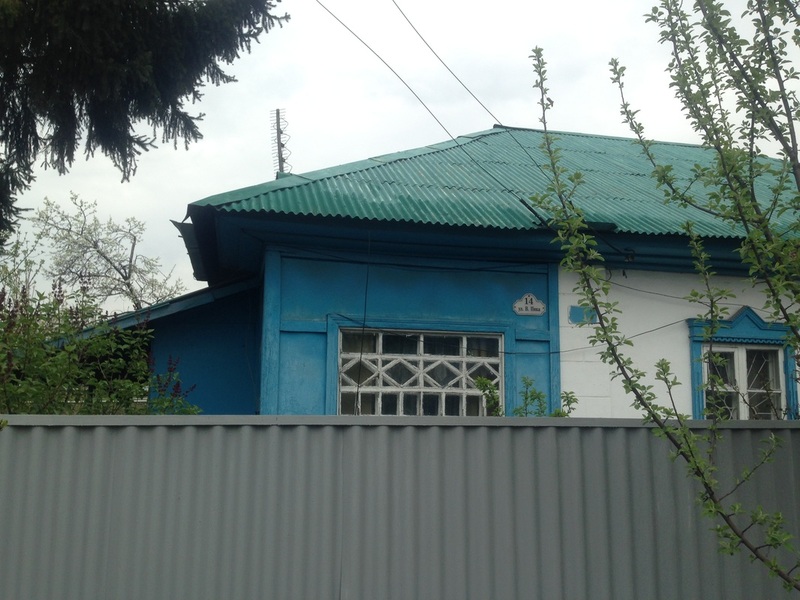 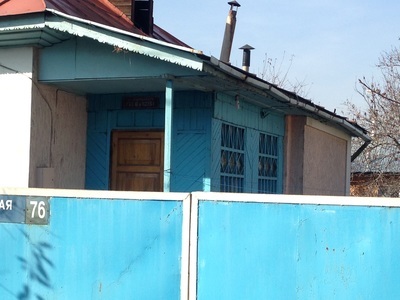 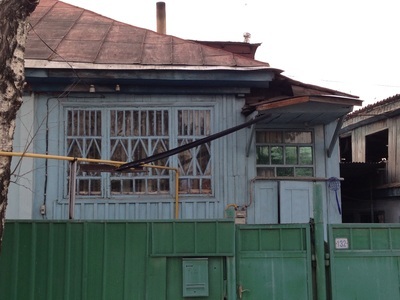 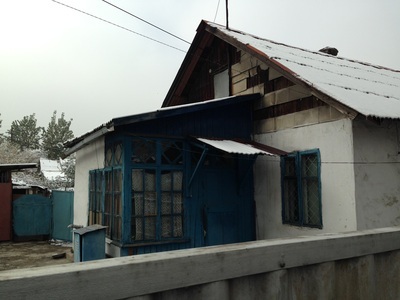 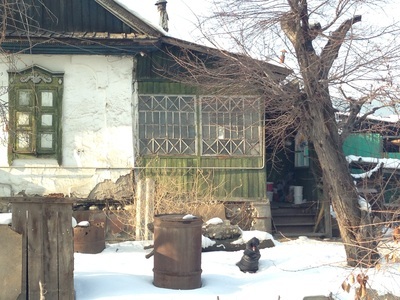 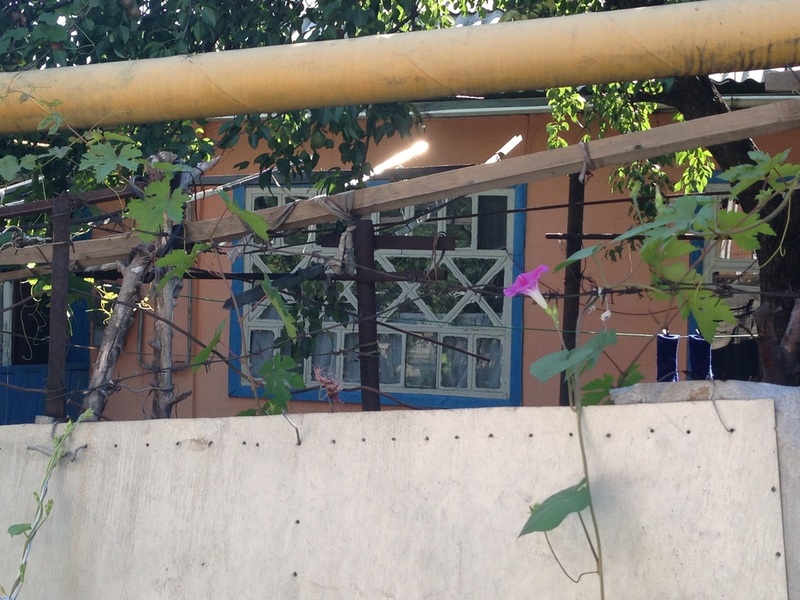 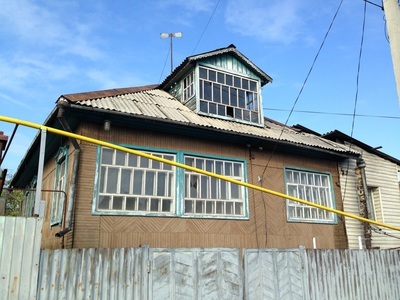 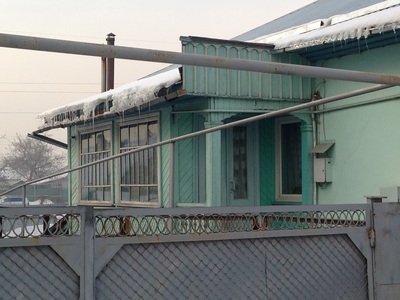 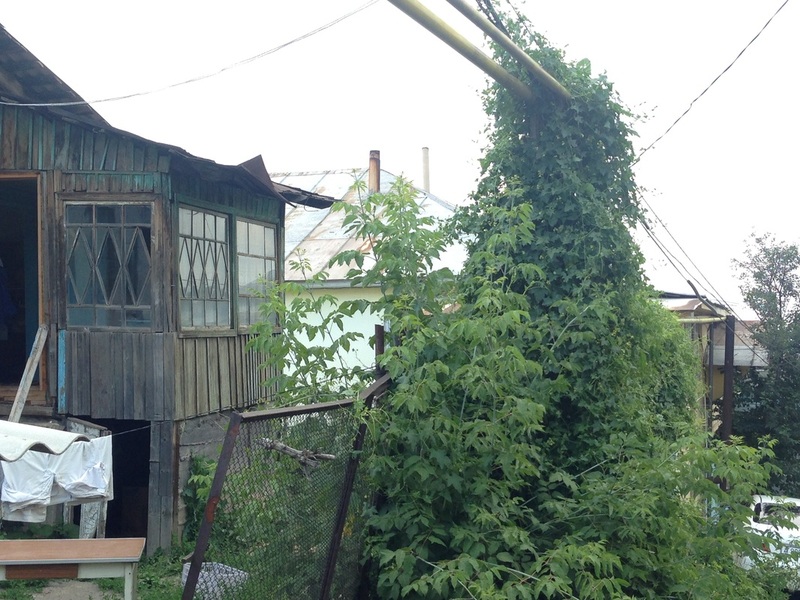 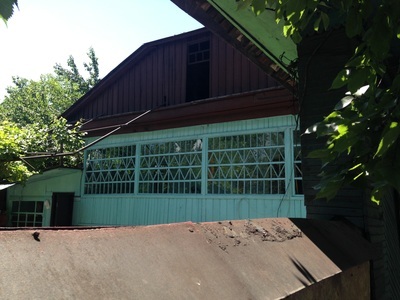 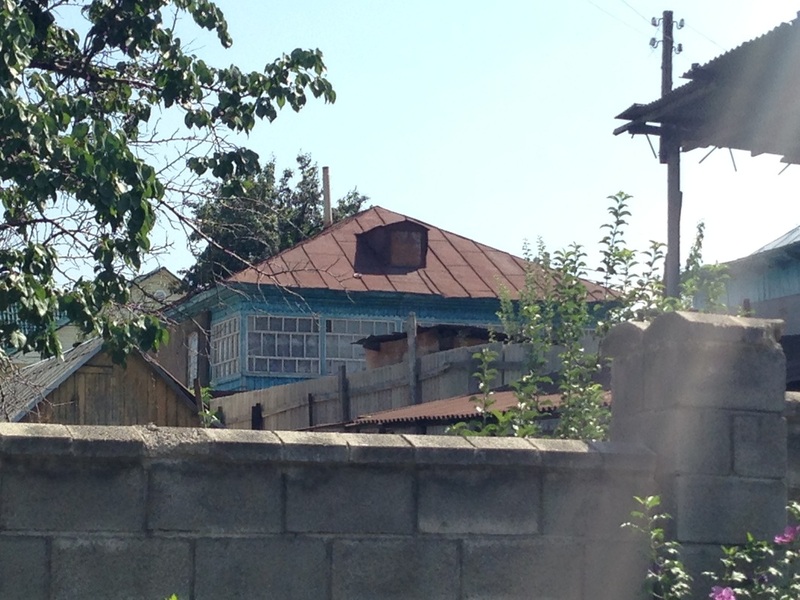 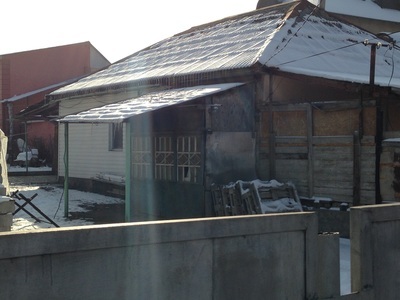 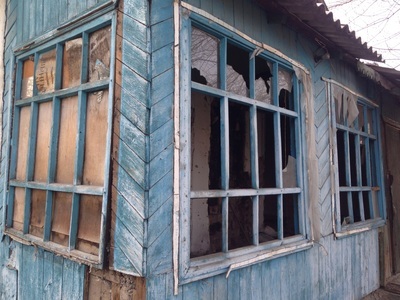 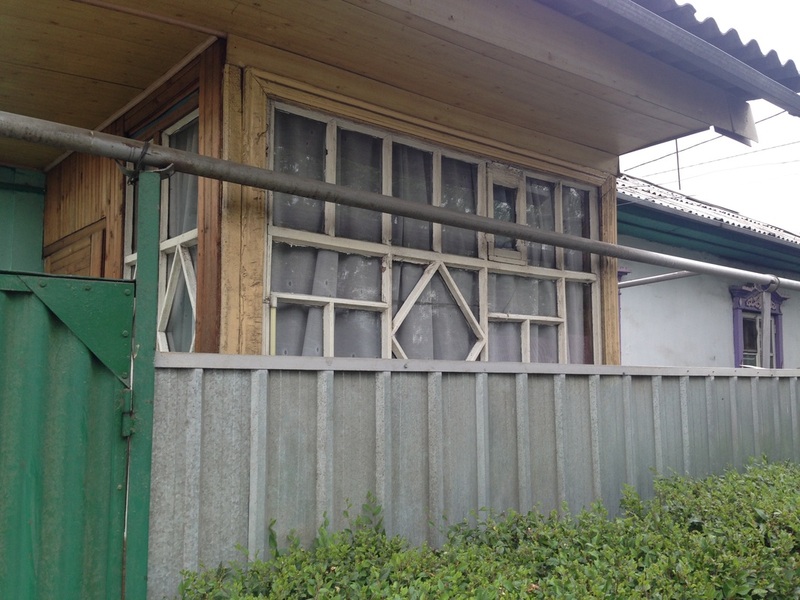 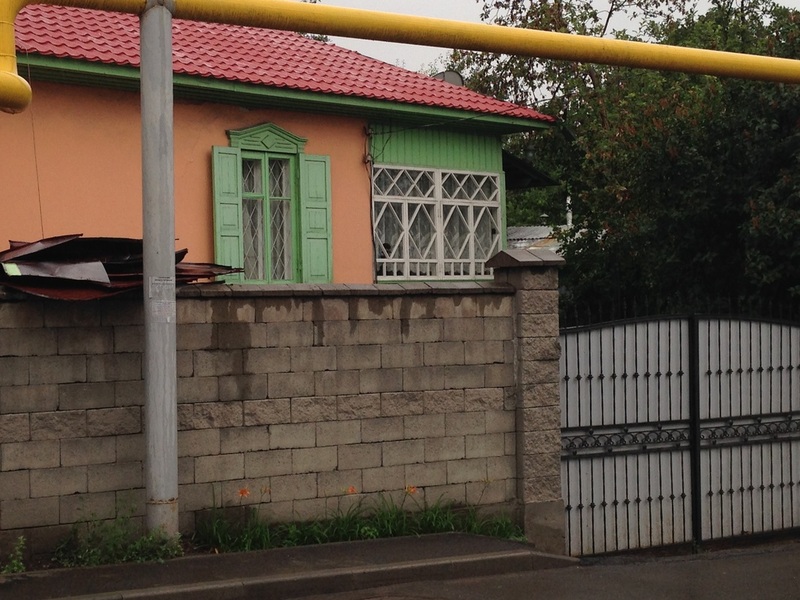 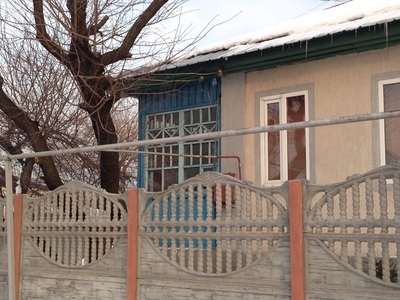 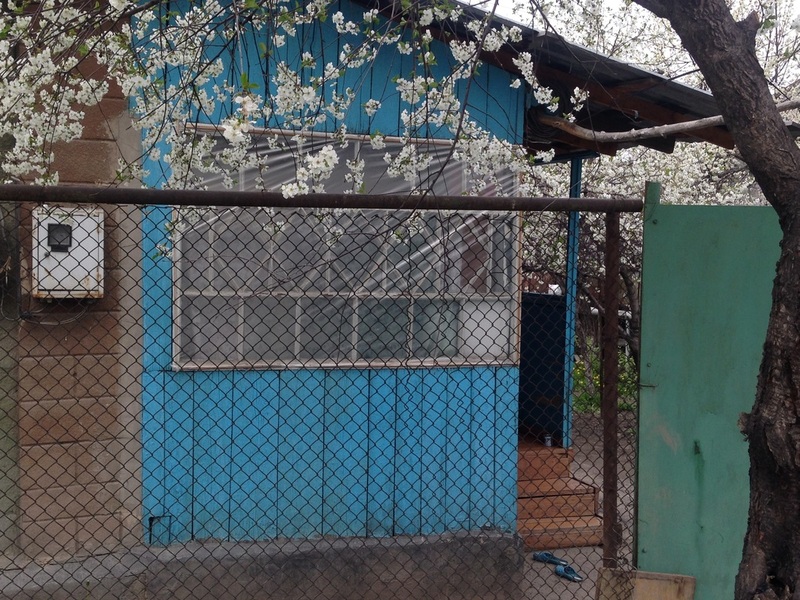 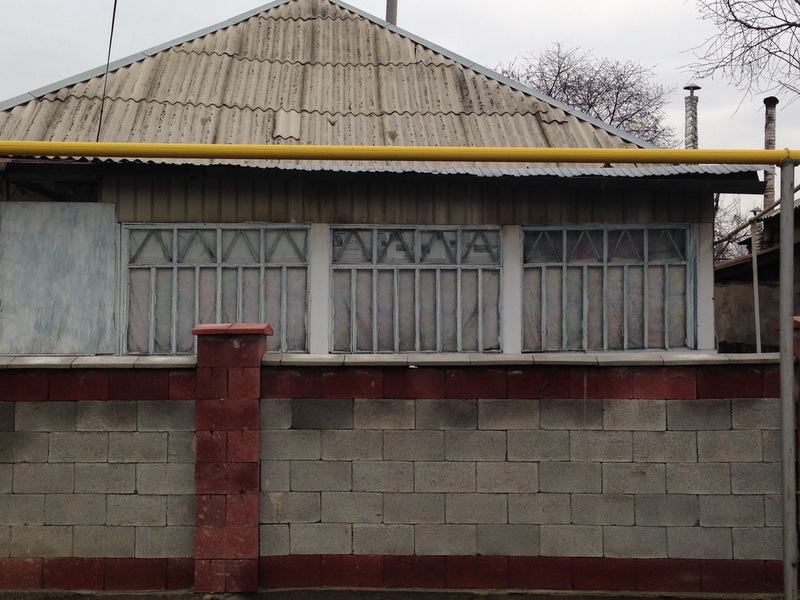 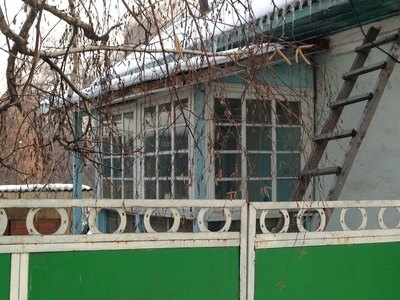 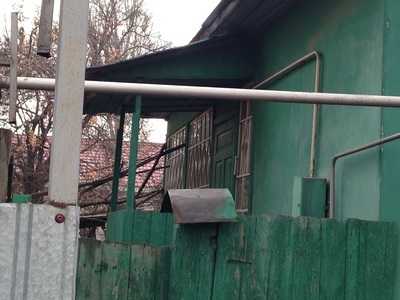 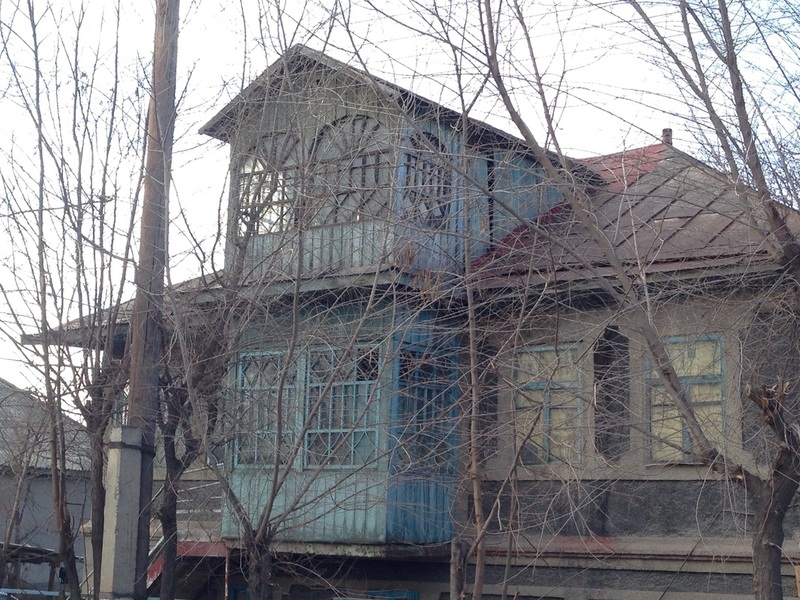 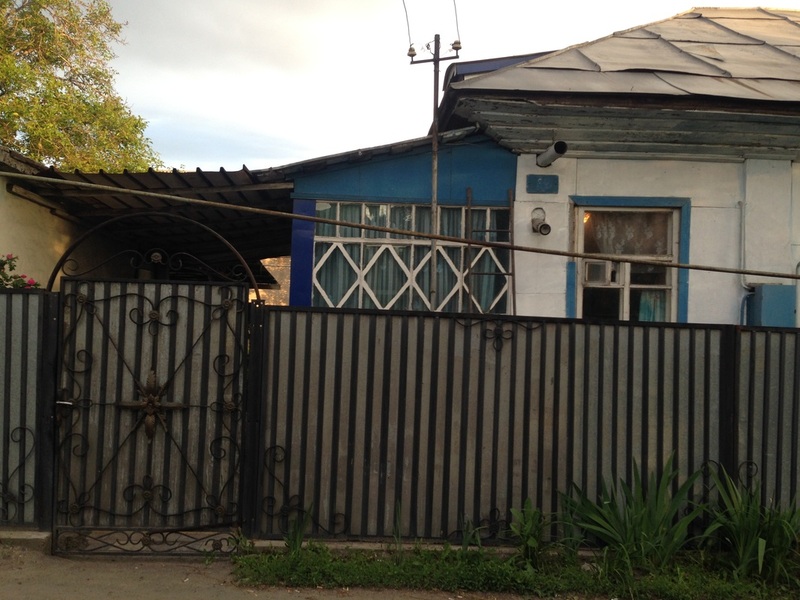 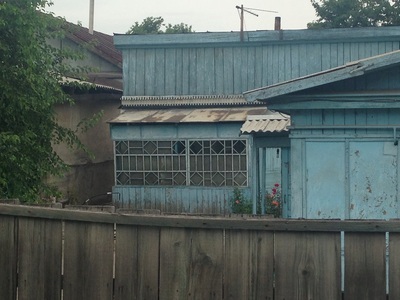 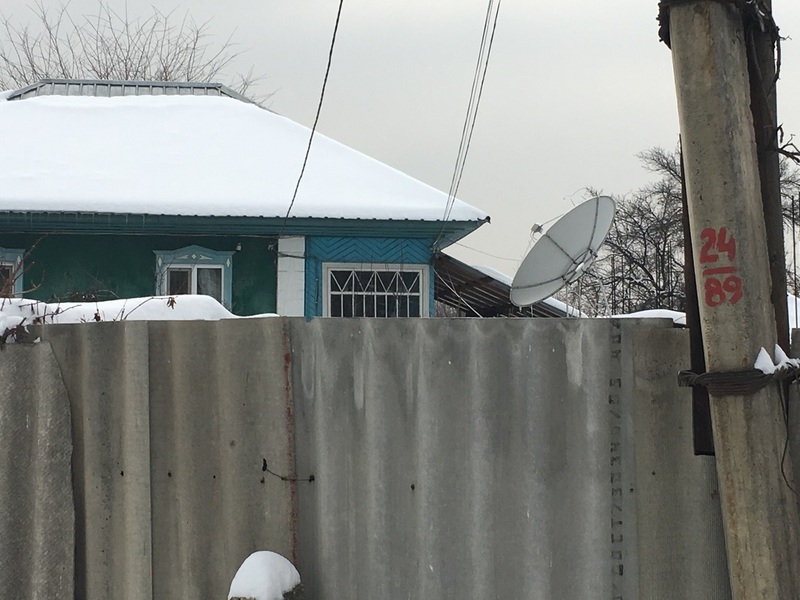 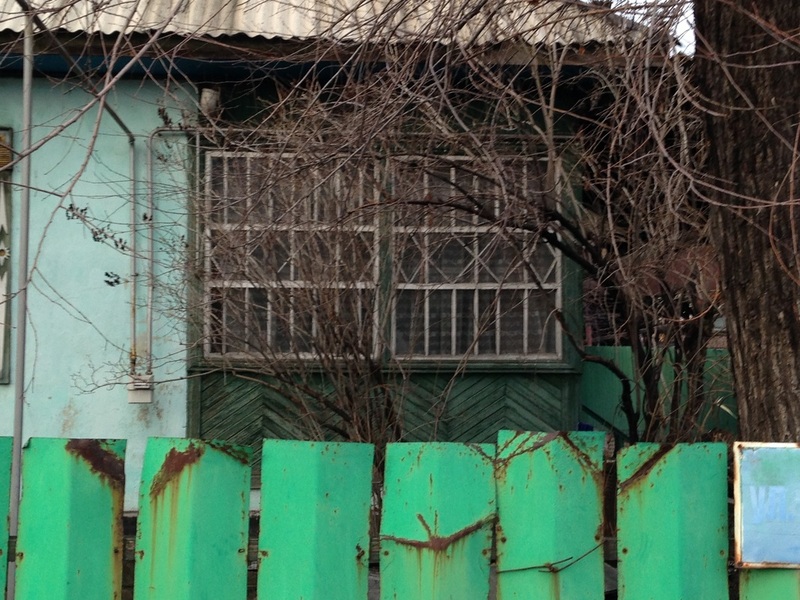 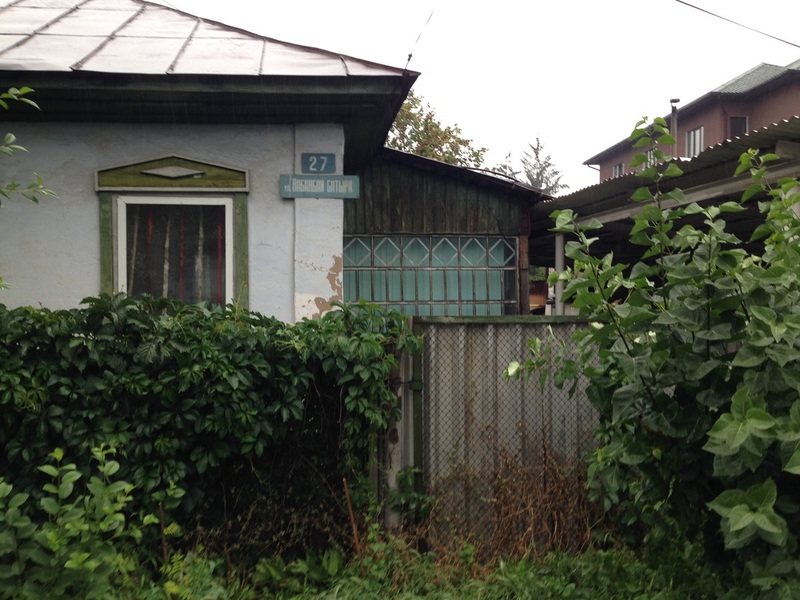 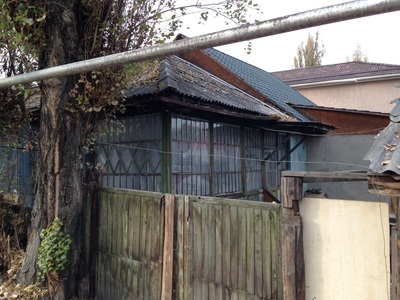 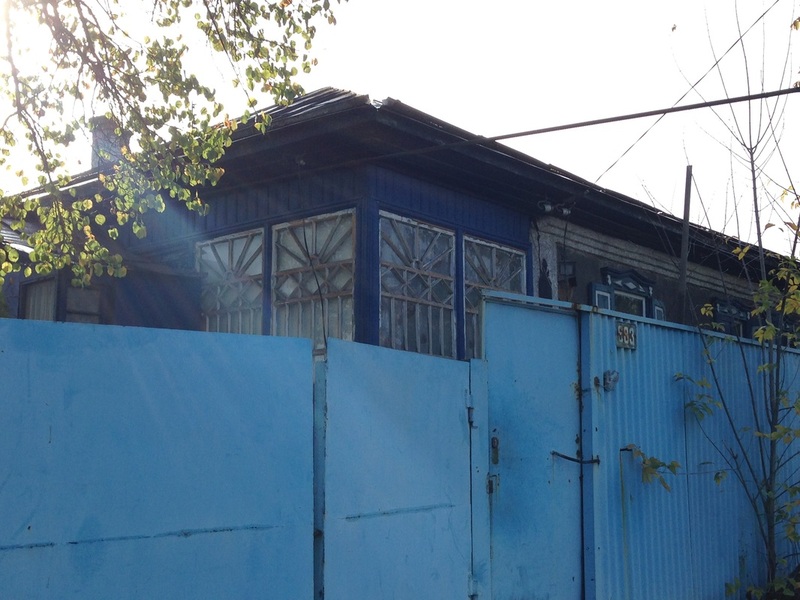 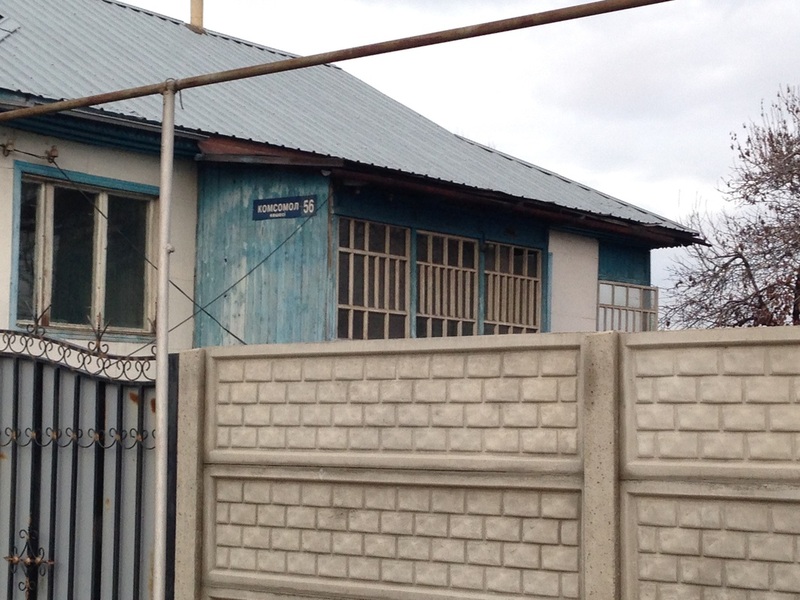 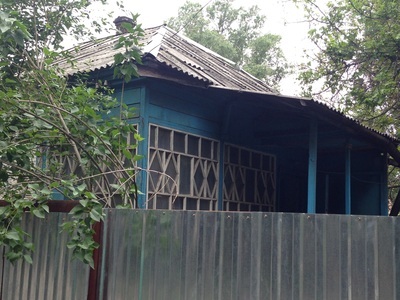 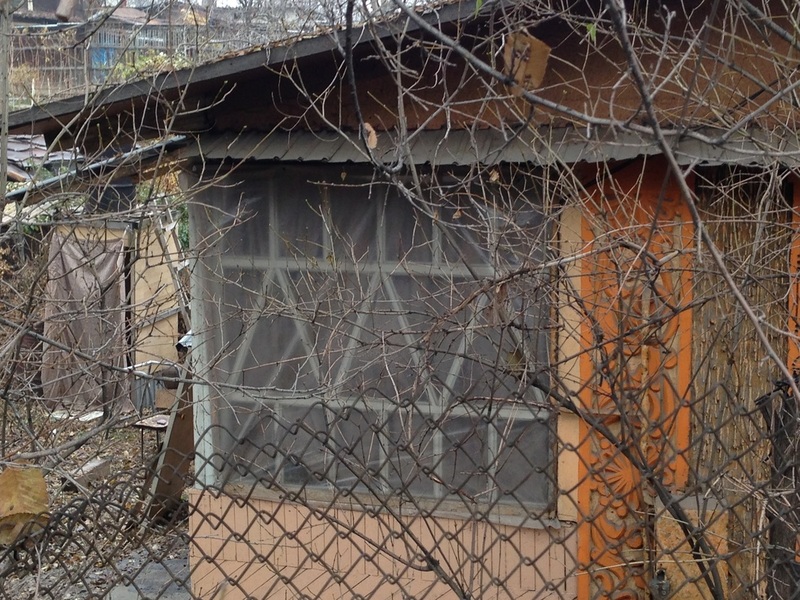 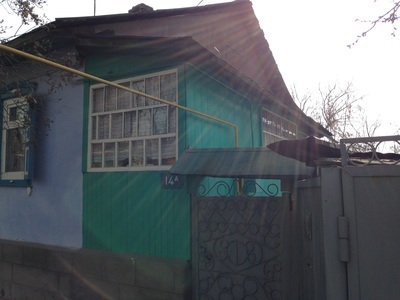 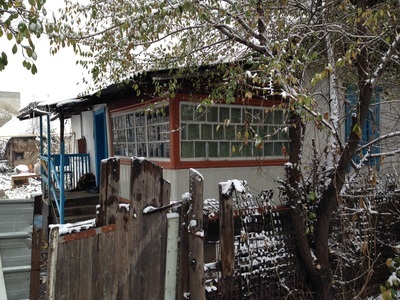 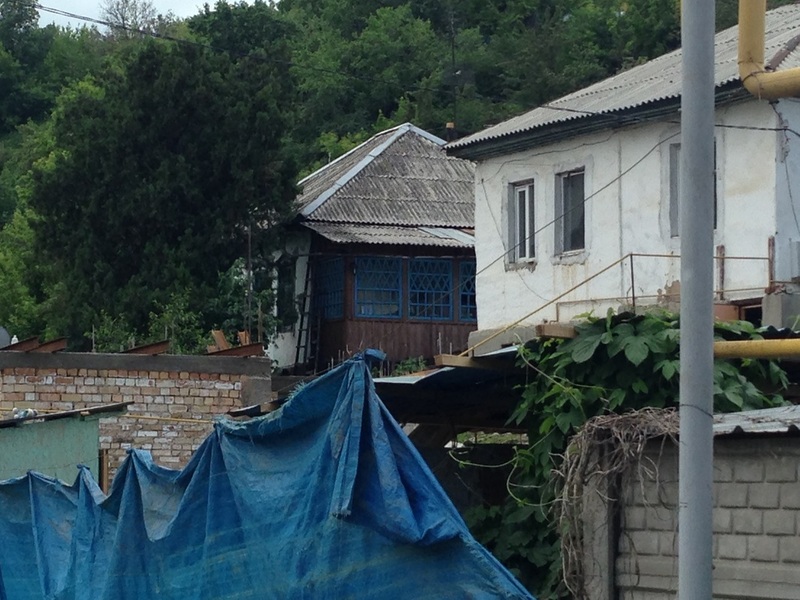 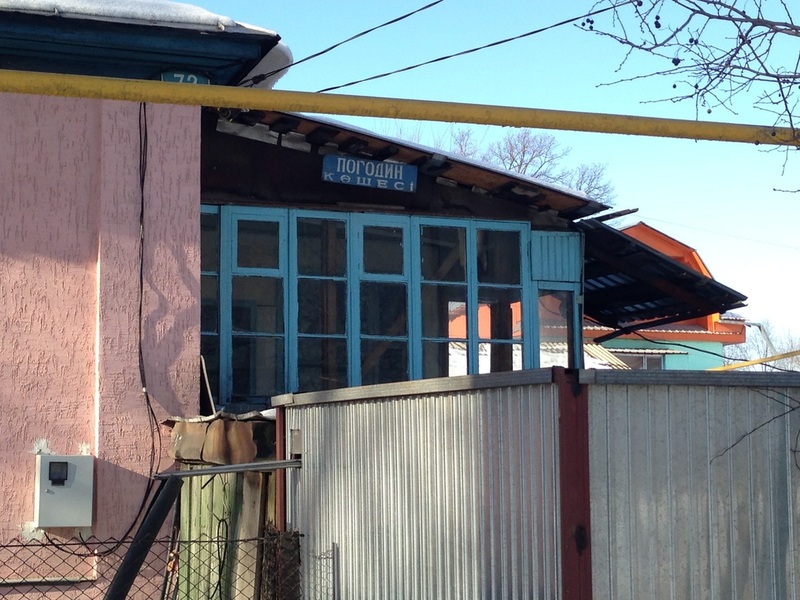 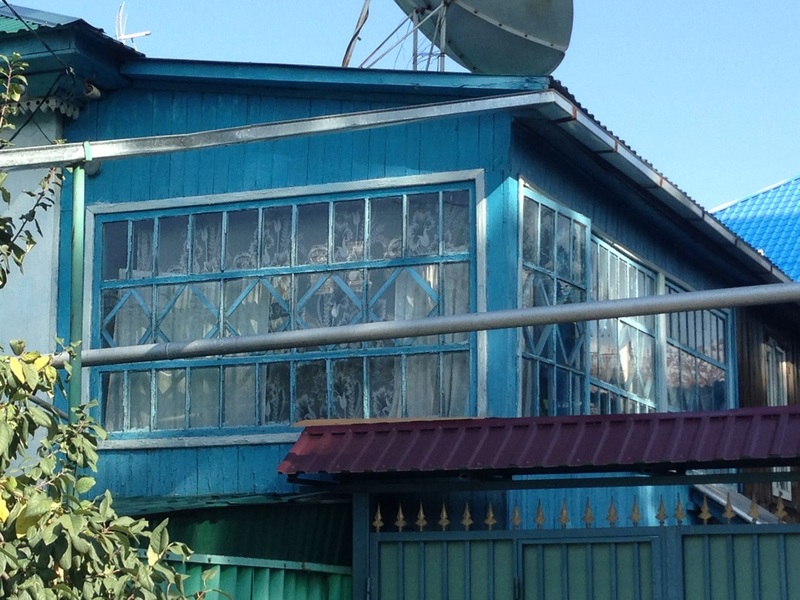 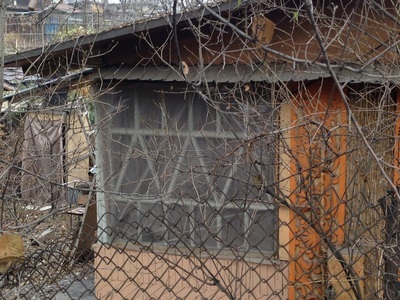 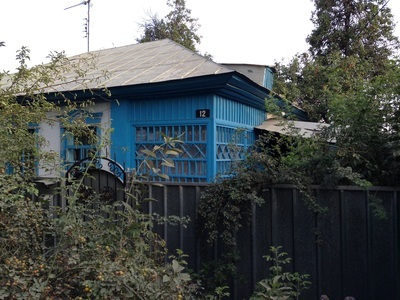 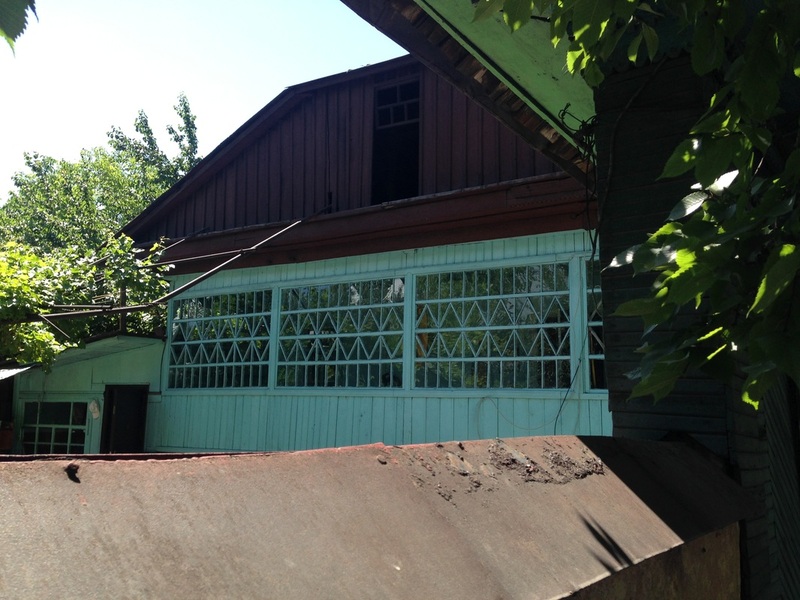 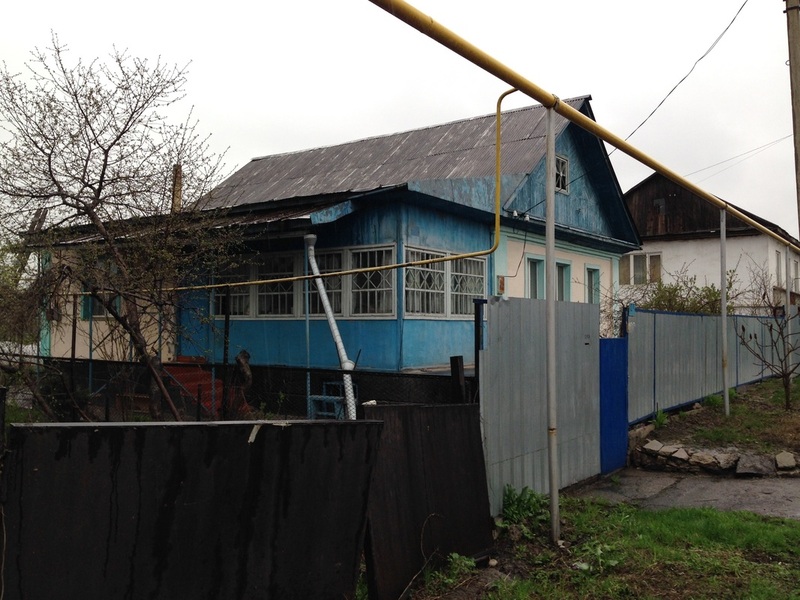 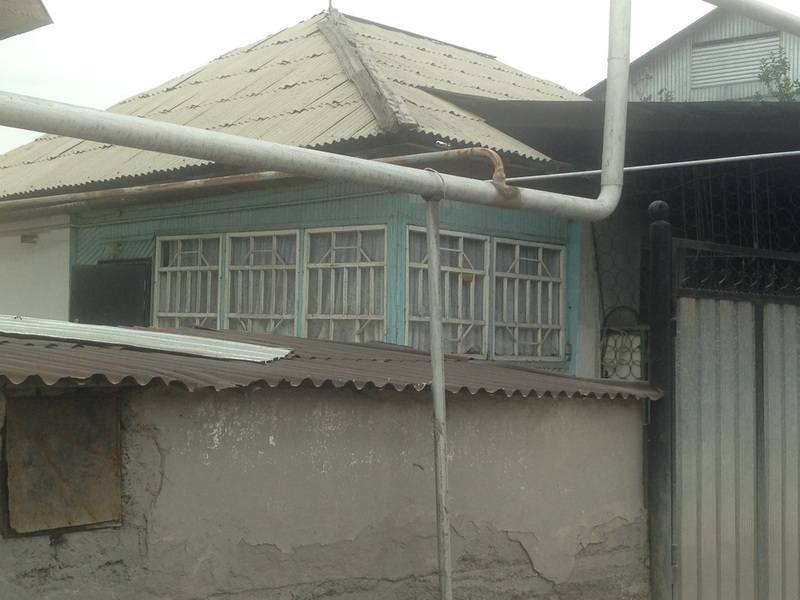 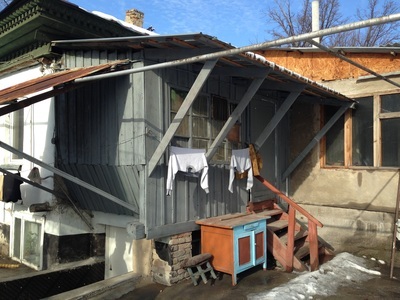 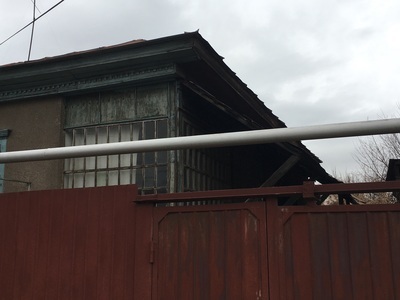 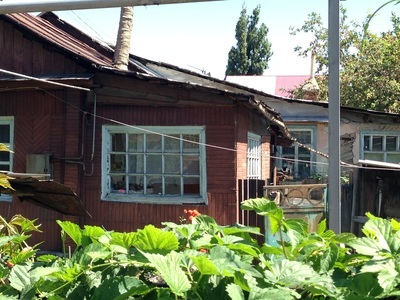 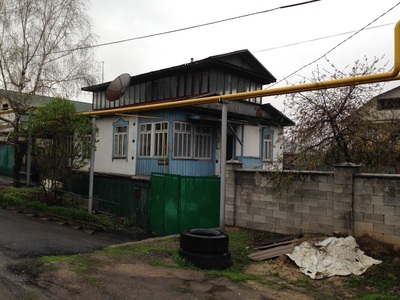 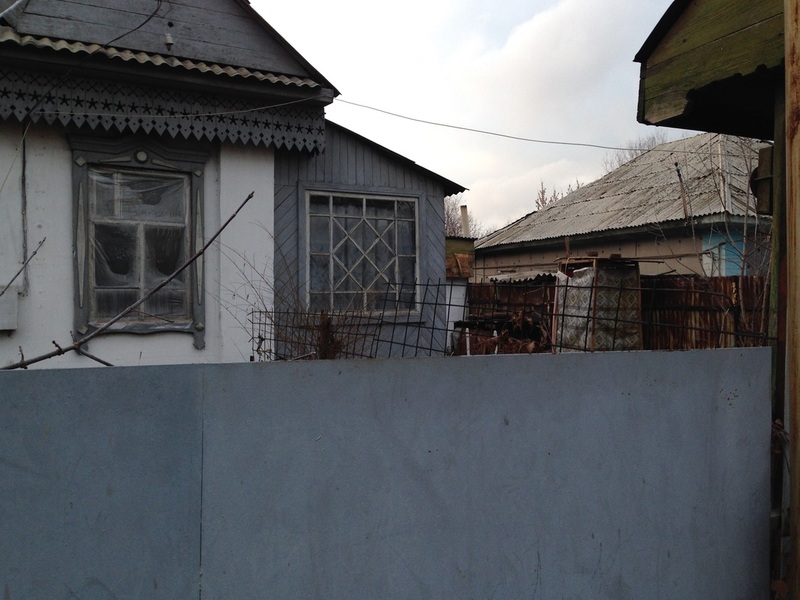 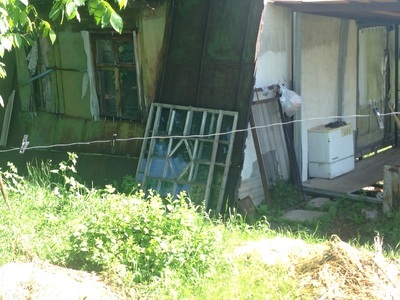 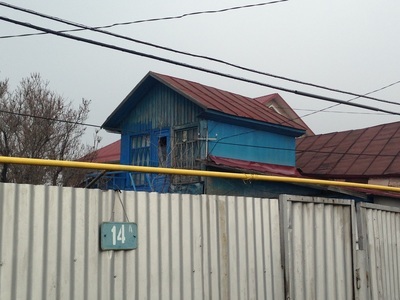 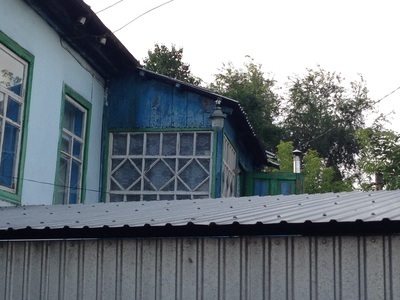 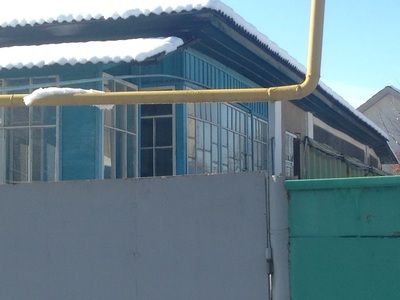 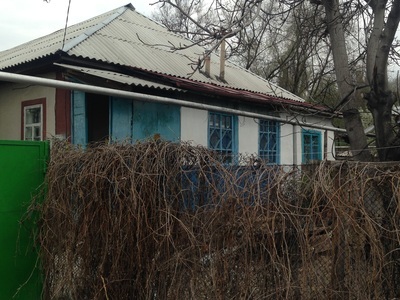 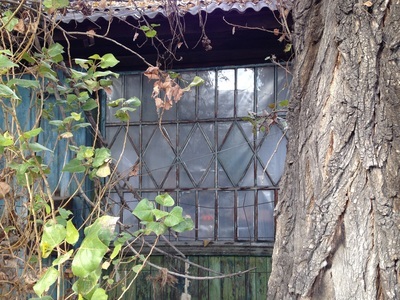 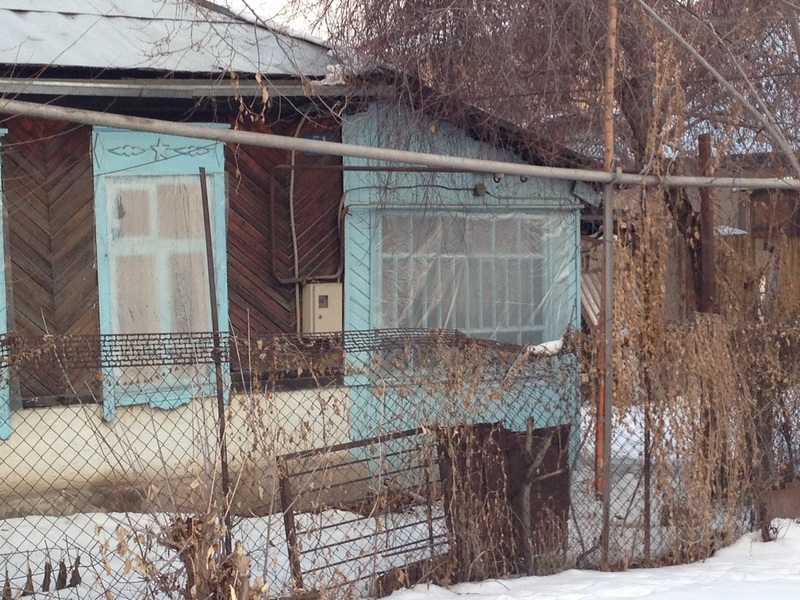 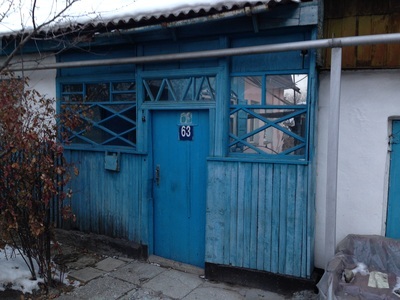 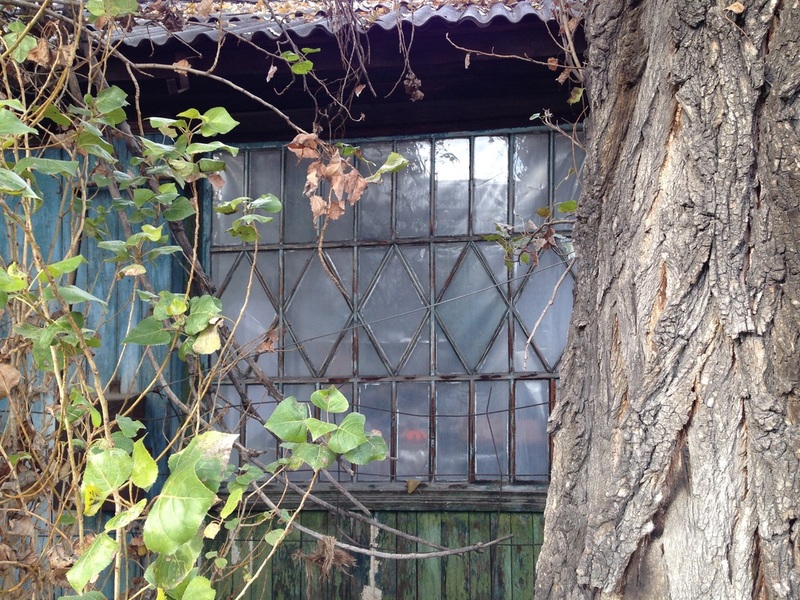 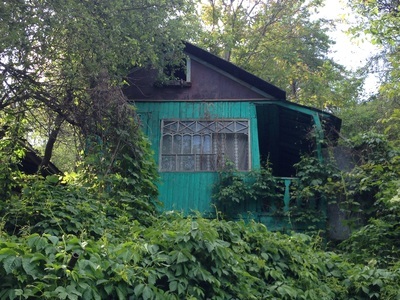 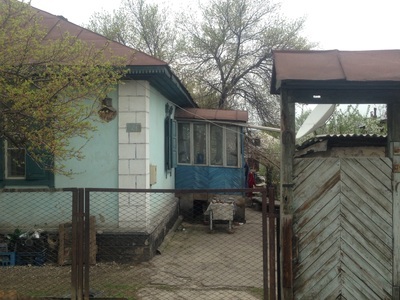 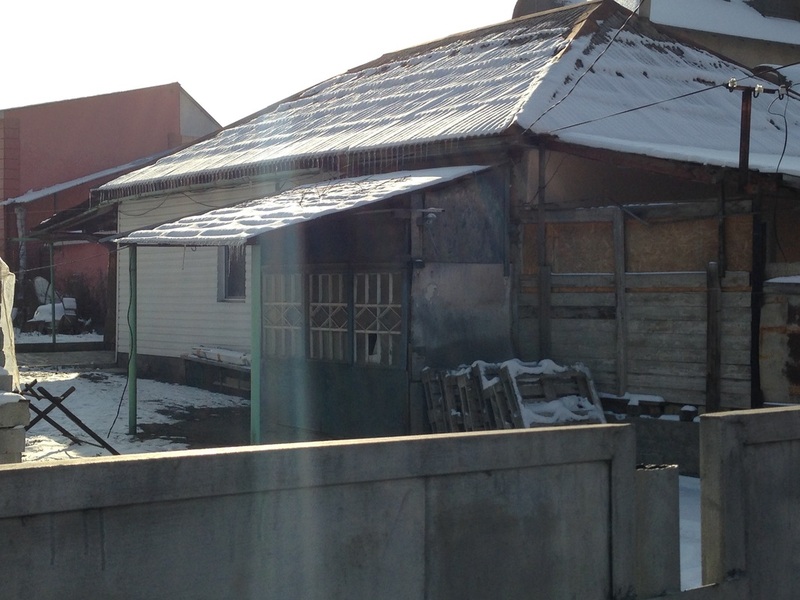 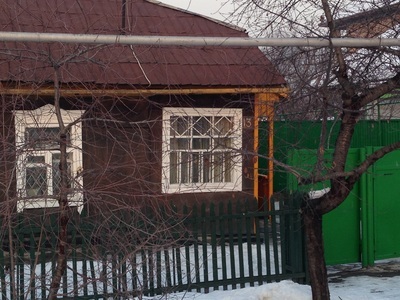 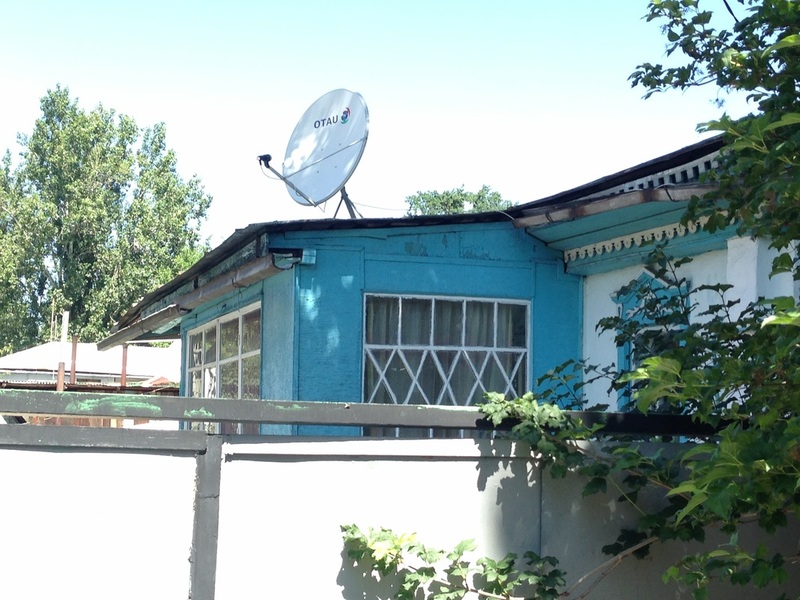 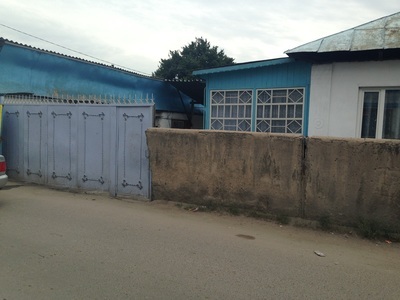 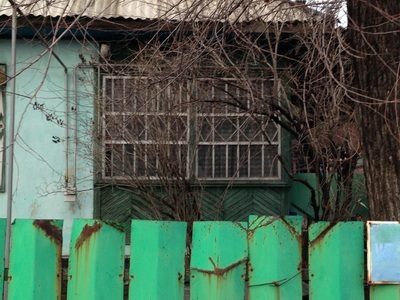 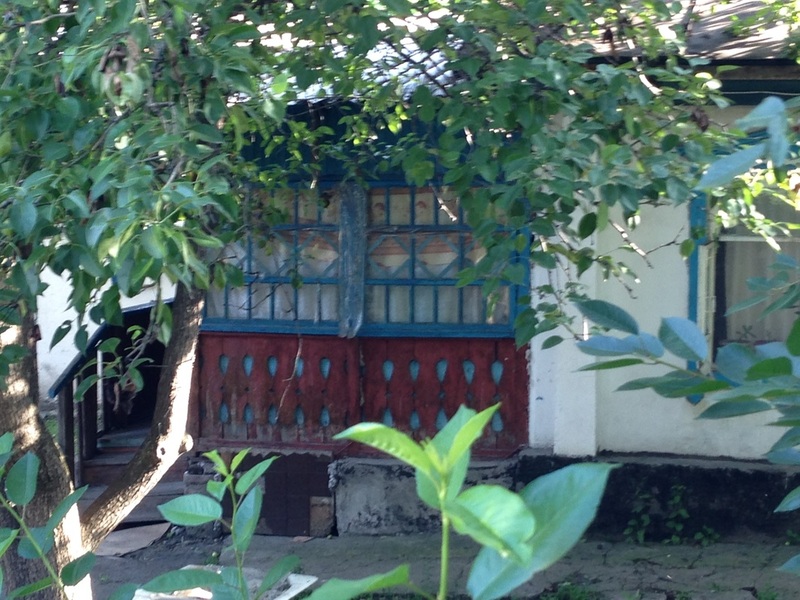 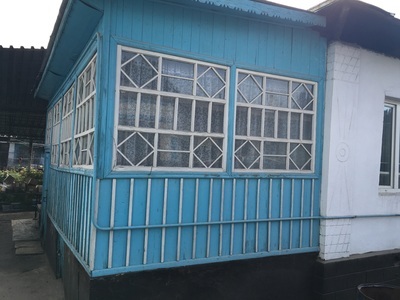 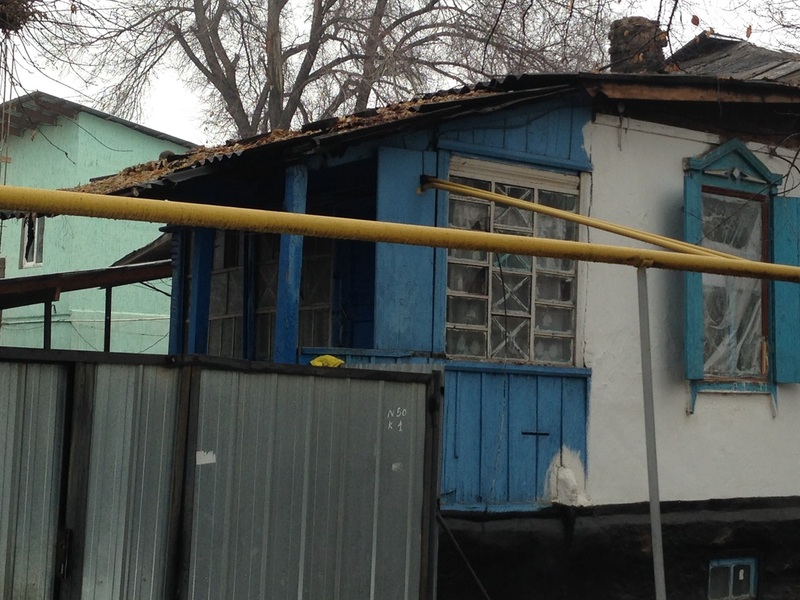 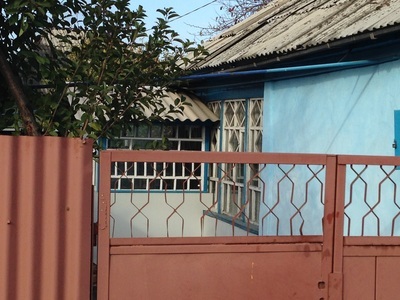 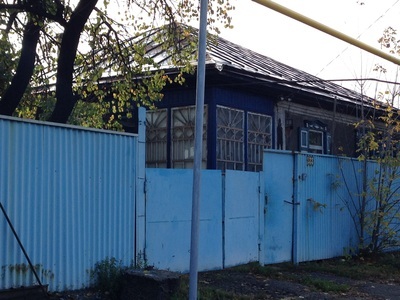 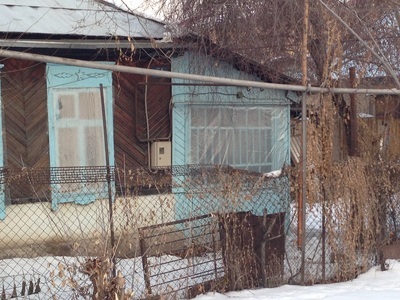 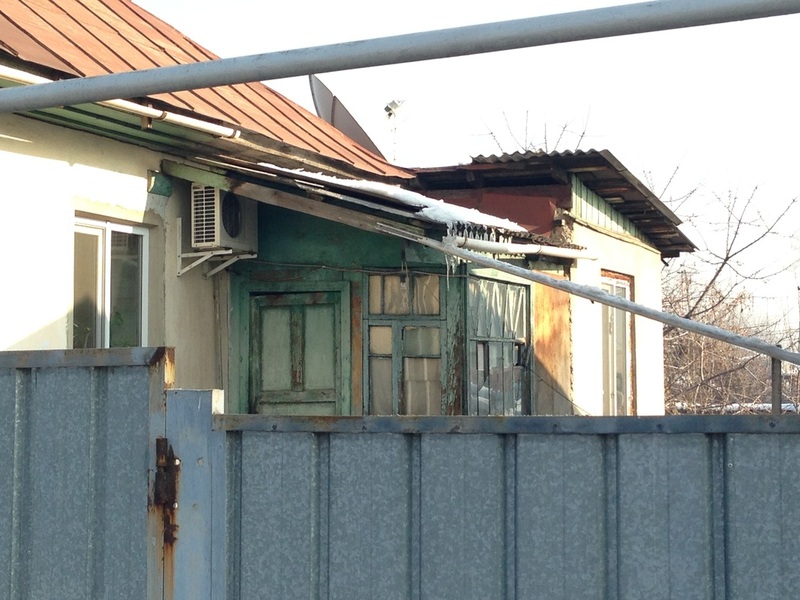 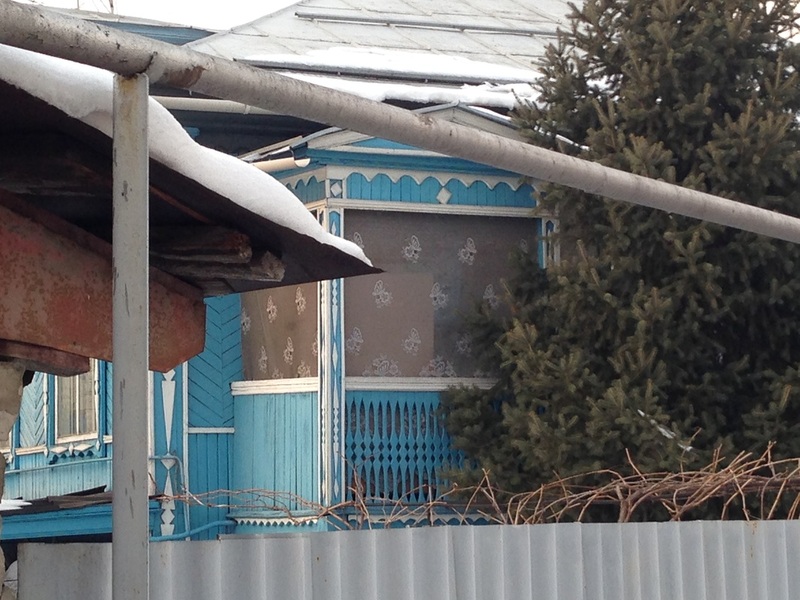 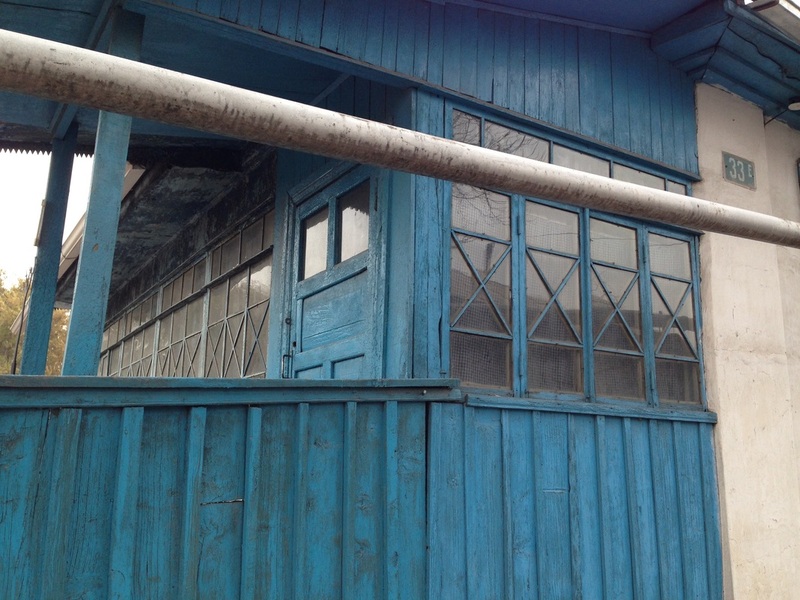 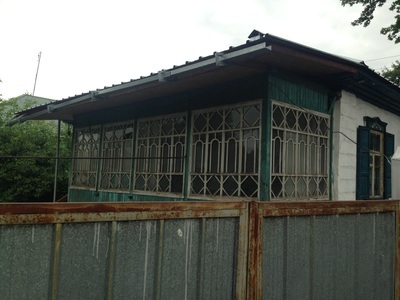 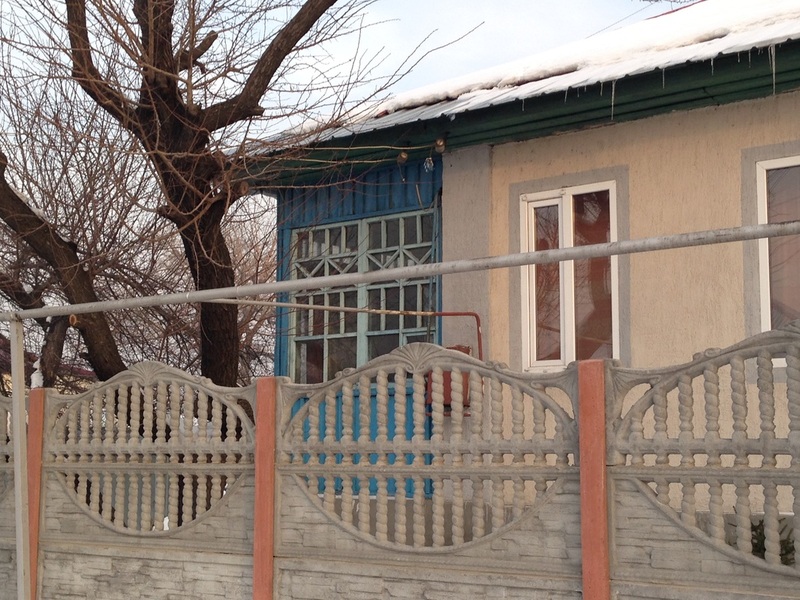 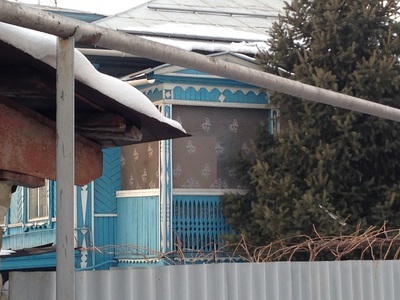 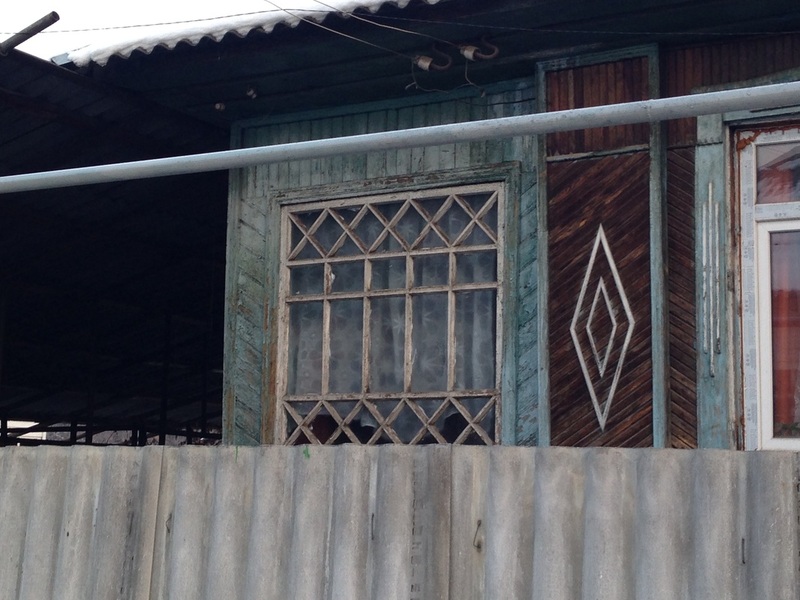 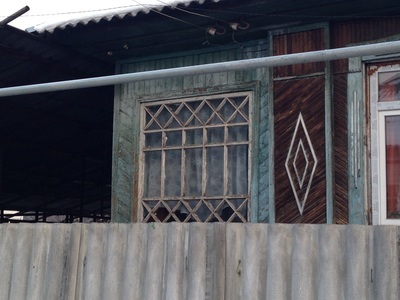 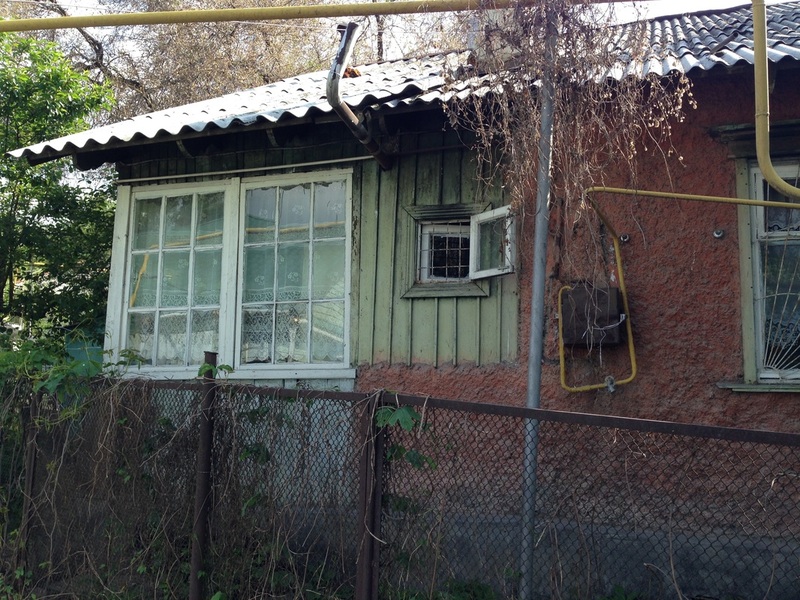 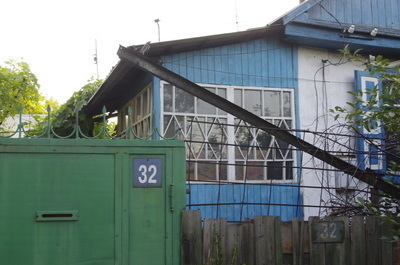 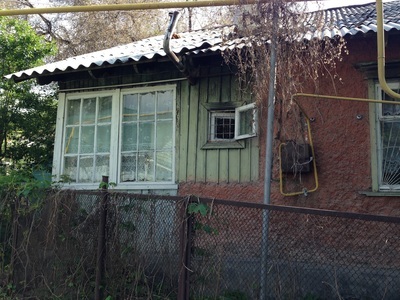 Nowadays the word seni is a little old-fashioned, more likely to refer to a part of a historical building, but the basic idea survives in Almaty as the veranda [веранда], sometimes called a tambur [тамбур] (though this is mostly used to describe the transitional space between train cars). 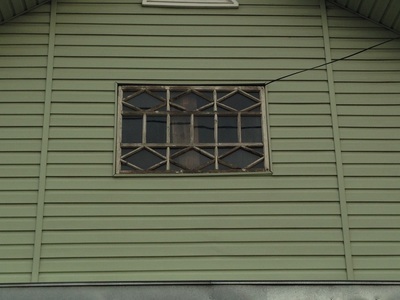 Because they're unheated, these vestibules can afford to have huge panes of glass, and this is what I most like about them. 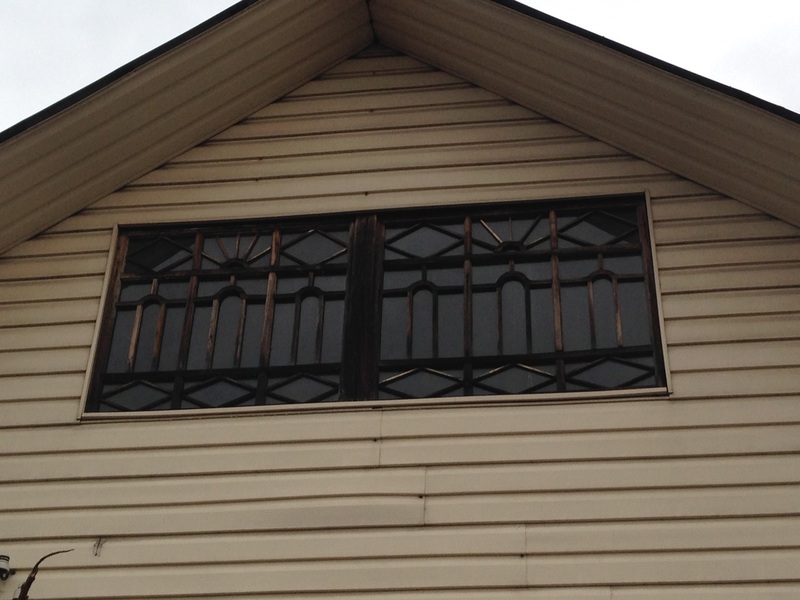 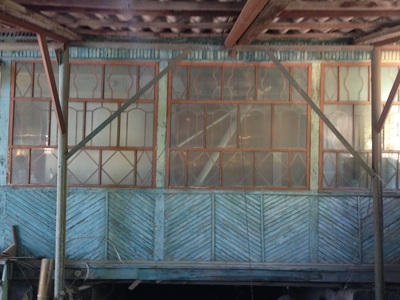 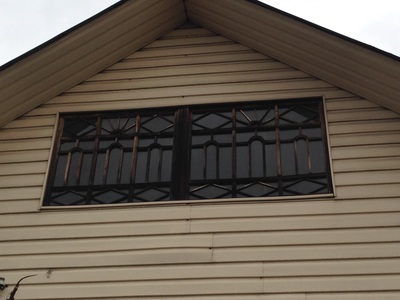 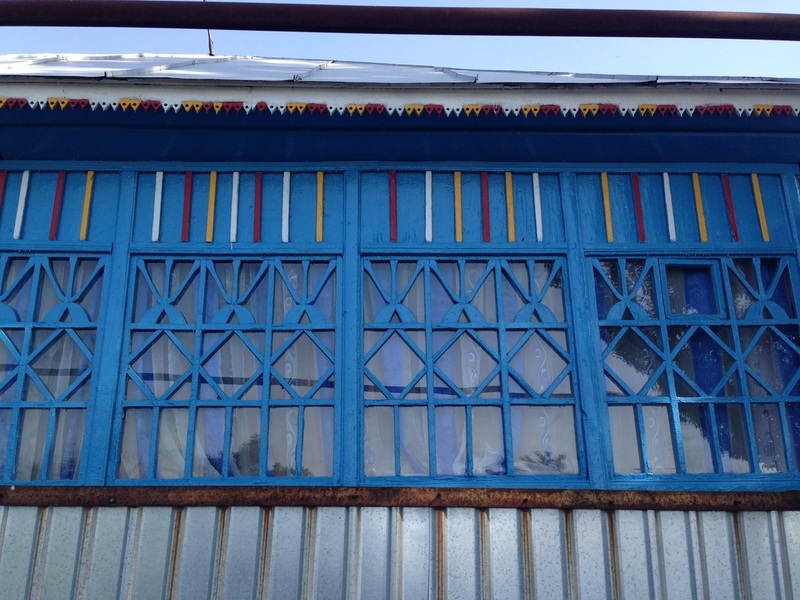 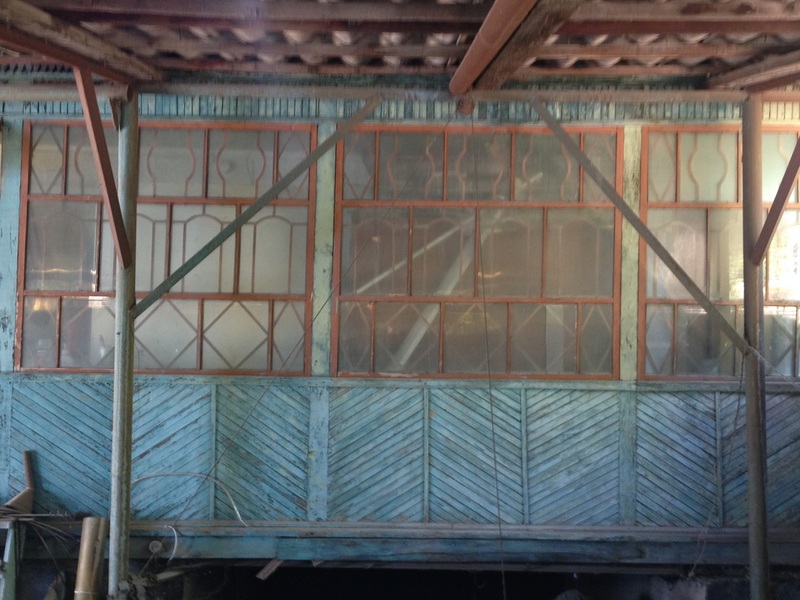 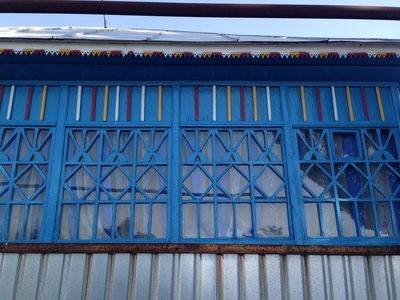 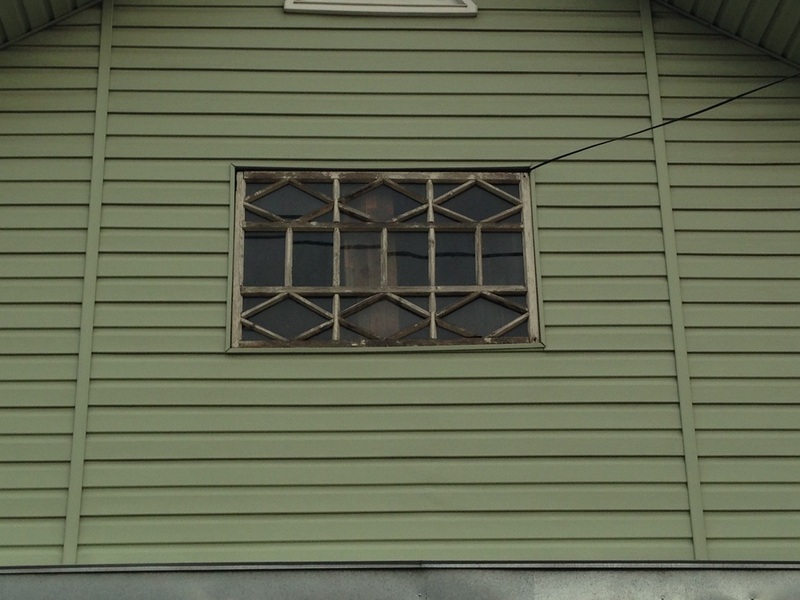 On sunny days, a veranda is as bright inside as a greenhouse, and between the windowpanes strips of wood (called muntins in English) form rhombi and delightful patterns. 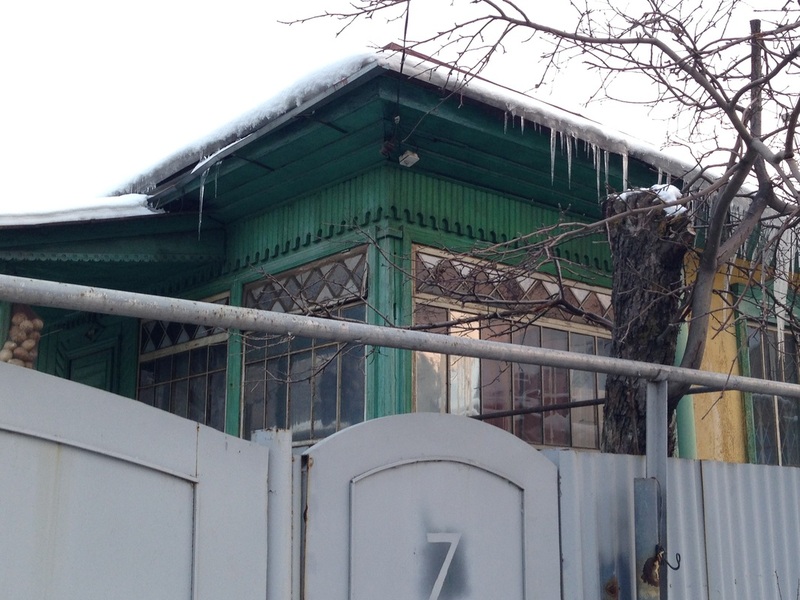 It's a shame that they're usually blocked from view by high metal gates, but when you do get a look at one, you'll be struck by the fragility that all that glass lends to an otherwise solid home.